Click here to find out more information from Gymnast Care on protecting gymnasts from injury. 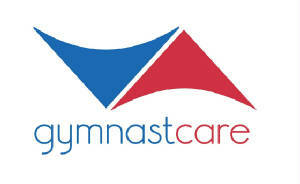 We are extremely excited about Gymnast Care! It actually all started right here at Sky Valley. There is an enormous amount of research that has been put out on the health of gymnasts, but this research has not reached the athlete that practices 3-5 times per week at the local gym. We started this endeavor in Monroe, WA at Sky Valley Gymnastics because Jenn, the owner, wanted to see her young athletes stay healthy. We’ve quickly grown into a leading expert in the gymnastics community on keeping gymnasts healthy. All of our athletes in gym sports will one day move on from the gym, and our goal is to make sure that the time they spent at the gym was an incredible experience, but not one that was riddled with injury. We’re about taking care of gymnast’s health and giving them habits that can help them succeed throughout life! Dr. Joshua Eldridge, Certified Chiropractic Sports Physician, began working exclusively with gymnasts in 2011 and has become a leader in protecting gymnasts from injury. His practice consists of working with gymnasts in their environment and promoting strength, nutrition, and injury prevention. Dr. Eldridge is the inventor of The X Brace, and speaks nationally on nutrition for gymnasts, landing technique, and injury prevention for gymnasts. He has participated in care of our Olympic Athletes at the Olympic Training Center in Colorado Springs, CO and is a member of the USA Gymnastics' National Health Care and Sports Science Referral Network. Dr. Eldridge’s case study on heel pain in gymnasts has also been published by the ACBSP. Dr. Eldridge will be speaking at the 2013 USA Gymnastics National Congress in Hartford, CT on "Taping for Champions" and "Jumping and Landing Technique." For more information on Dr. Eldridge, please visit www.gymnastcare.com and if you have any questions, please feel free to email him directly at doc@gymnastcare.com. Dr. Josh provides soft tissue care, chiropractic, and landing and jumping training for our athletes here at the gym. You can contact him directly to set up a time for evaluation. He is in our gym on the first and third Mondays (from 4 pm until 7:30 pm) of each month during the school year. 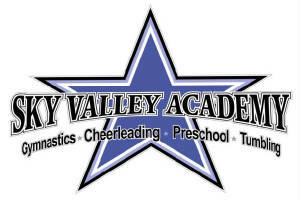 During the summer, it varies depending on Sky Valley Team's practice times.